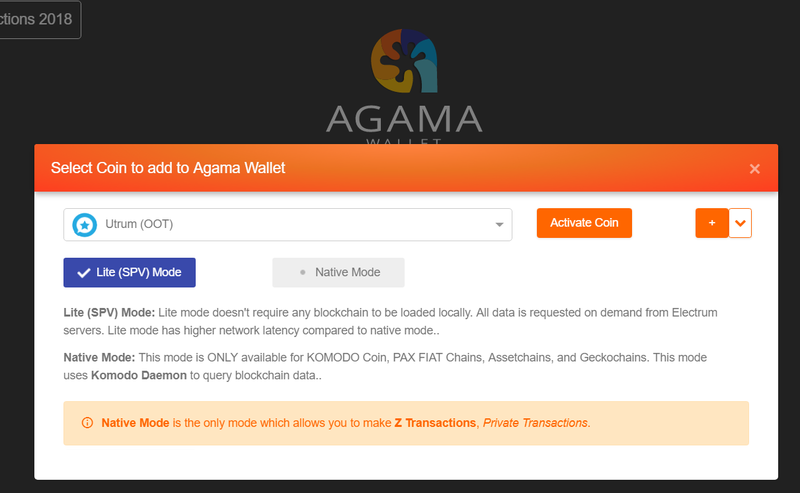 Agama is a multi-currency wallet developed by Komodo. 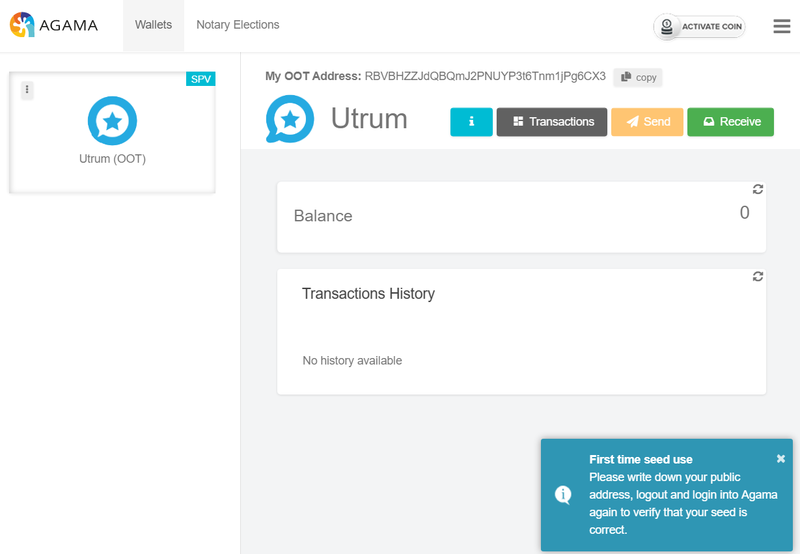 Utrum token OOT is integrated into Agama. 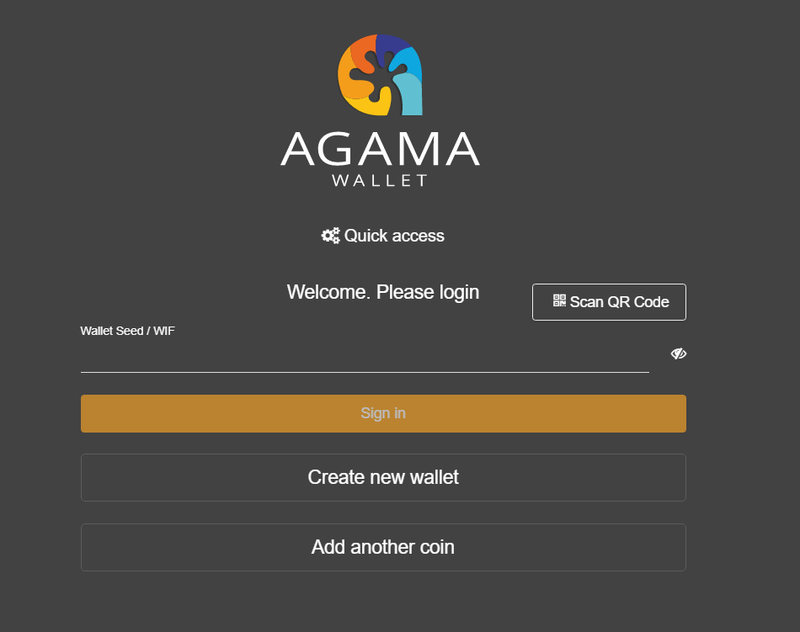 Follow the steps in this article to install and configure your Agama OOT Wallet. 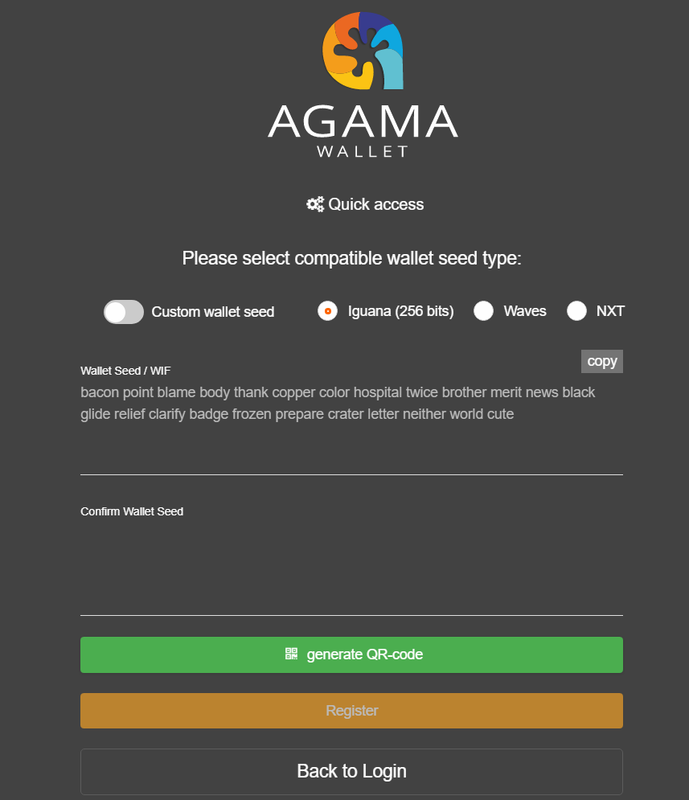 Agama wallet is available in Desktop and Web. Please note the web version is in Beta. Do not store large amounts in web wallet. Desktop and Web Wallet have the same procedure to setup OOT wallet. Scroll down for instructions. 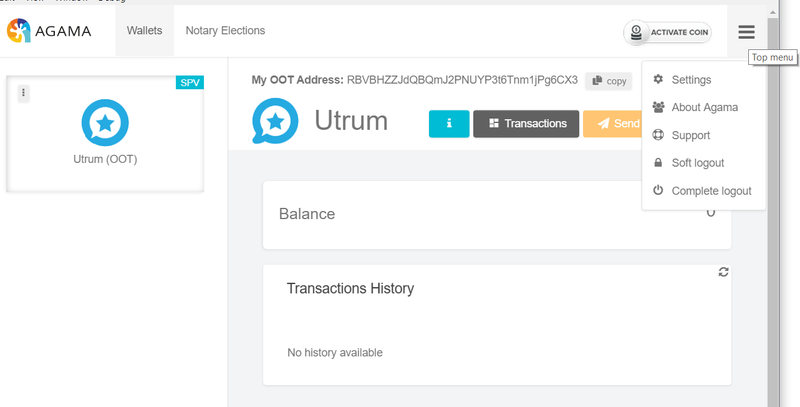 Click on Activate coin and select Utrum OOT from the drop-down list. By default, Lite (SPV) mode is selected. Lite mode doesn&apos;t require any blockchain to be loaded locally. All data is requested on demand from Electrum servers. Lite mode has higher network latency compared to native mode. Click "Activate coin" button. Once coin is activated, click on "create new wallet"
Copy the wallet seed and keep it in a safe place. Confirm the wallet seed. It is a good practice to write down your public address, log out and login into Agama again to verify that your seed is correct. Click Soft Logout. If you use complete log out option, you have to activate coin again. 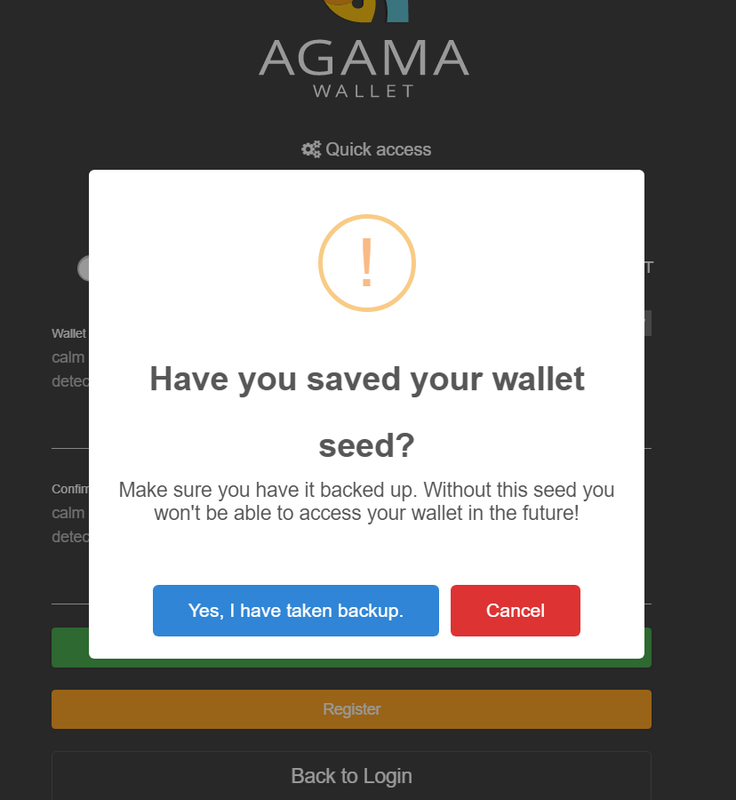 If you would like to export Private Keys from Agama. Click on settings, scroll down to &apos;Export Keys". Enter your wallet seed, click on "Get WIF keys&apos; button. Backup your wallet.dat file by copying and pasting it into a reachable folder. The software is provided ‘as is’, without warranty of any kind, express or implied, including but not limited to the warranties of merchantability, fitness for a particular purpose non-infringement event. In no event shall the authors or copyright holders be liable for any claim, damages or liabilities, whether in a action or contract, tort or otherwise, arising from, out of or in connection with the software or the use or other dealings in the software.